Best friends are like brothers and sisters we get to choose. They are the extension of our family that makes life so much better. The relationship started with a simple “hi” and “hello” to now, constantly seeking out each other for life advice. Some of the time best friends are the people we seek when we are at our lowest. They are also the ones we want around to celebrate any successes we go through in our life. And indeed, they are the ones there for us in good times and in bad, that is why whenever they celebrate their birthdays we want to make it extra special for them. Such ways do not have to be grand or luxurious, it just has to be sincere and heartfelt to make it truly special. 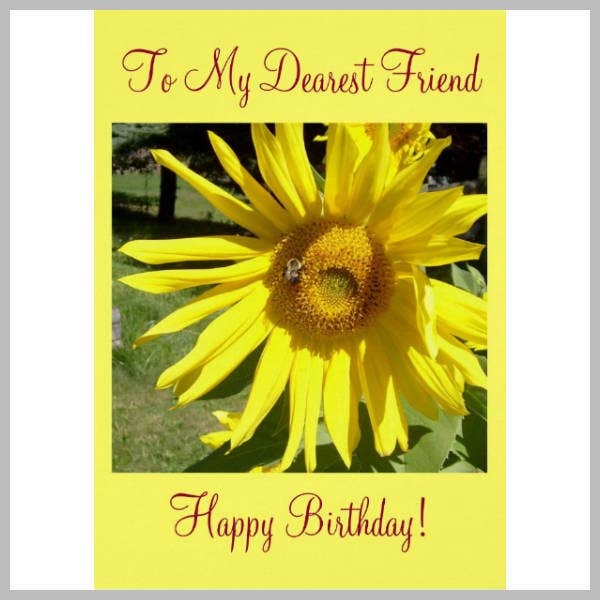 You may also see friend birthday card templates. And if you are someone looking for gifts to give your best friend on his or her special day, you can do so by simply giving them birthday cards. 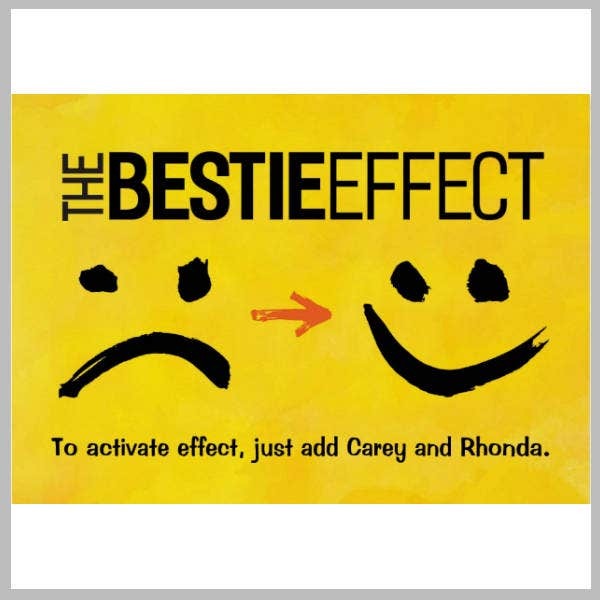 Cards are definitely a great alternative if you are unsure of what to give them. They are also a safe choice in case you have no idea whether they will like the present you will buy or not. And more importantly, birthday cards allow you to express yourself to your best friend in ways you have not before. With that said, here is a list of birthday card designs and templates you can use to give out to your best friend on his or her birthday. What Makes a Birthday Card an Ideal Gift? Gifts can come in all forms whether tangible or not. There is just a boundless choice when it comes to options to give as gifts. It can be your presence during their celebration, if not, your unconditional love for them or even experiences that they have never done you wish to let them try; material things such as gadgets, makeups, fashions can also come as a form of a gift. And if you think the former option is not enough and the latter cannot suffice or ones that will not able them to feel something emotionally deep, go for something as simple and modest as birthday cards. Birthday card templates, albeit simple, can tug the heartstrings of people, even your best friend, that its sincerity will outrank the extravagance of other choices. So, why should you opt for birthday cards as gifts? As what has been said, sample birthday cards can translate as a sincere gesture to your best friend you are giving one to. Amidst its lack of extravagance, it compensates with its heartfelt and genuine gesture. The simple act of putting down to words how you truly feel about the person can most definitely echo as a form of love. And with a birthday card, your feelings will be put to the forefront as most are commonly blinded by the extravagance of material things they receive, disregarding the true intentions of why it was done in the first place. The beauty with having a tangible birthday greeting (add to that, the beautifully handwritten letter) is how they get to keep it for keepsakes. Your best friend gets to treasure the thoughtful gesture which they can come back to at any moment that calls for it. And compared to other gifts, on a personal level, a birthday card increases its value to the person over the years. The longer they have kept it, the more it becomes so meaningful to them. Also, on moments of solitude they can just look at the birthday card, have a read and recollect the moments it entails. You may also see animated birthday cards. It is true that it is not something new to people, but on occasions where birthday celebrants are bombarded by almost every material things, a word birthday card stands differently. It is unique in a sense it contains so much thought, both as a gesture and in the contents. It is different in a sense it is able to trigger their emotions when they least expect it to. Birthday cards are simply a different kind of gift. When you buy stuff as gifts from a store, there is the tendency that four or five others have the same things, making it less special to the one you are giving it to. However, when you opt to just make your own card, write down how you feel, it is a gift that is unique to them and only them. No other person in the world has the same birthday card, the same content, ultimately making it special and unique to them. Cards specially dedicated to specific individuals have some sort of effect that no other material things can amount to, not even the most expensive things. You may also see word format birthday templates. Birthday cards are essentially simple to create, especially when you opt to buy ones that are already pre-made, with pre-written texts of sincere, witty or funny birthday greetings. 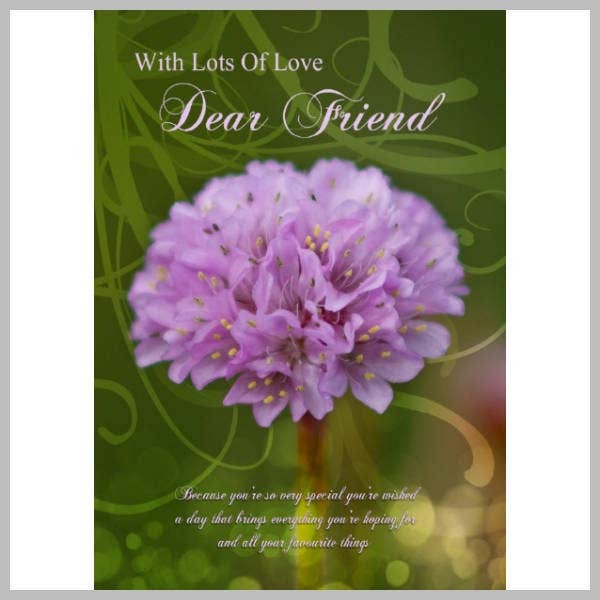 Some might find the option of going for a birthday card as simple, too simple to an extent, but there is no simple gift when it comes from the heart and is of sincere nature. When feelings and emotions are at the front, written to aid the struggle of simply enunciating them, it is one that does not compromise. In fact, most times it is more than enough. People should be destigmatized from the notion that those who prefer to give out cards instead of something luxurious are those who have no other choice or worse, are people who cannot afford to buy something more. People should be stripped back from extravagance that when others opt for something simple, they immediately shame not only the gift but also the giver. Prices should not be the measure to how much you feel towards a person whether your family or best friend. Sincerity and thoughtfulness are what should be, whether it be a card or a car. You may also see free birthday card templates. 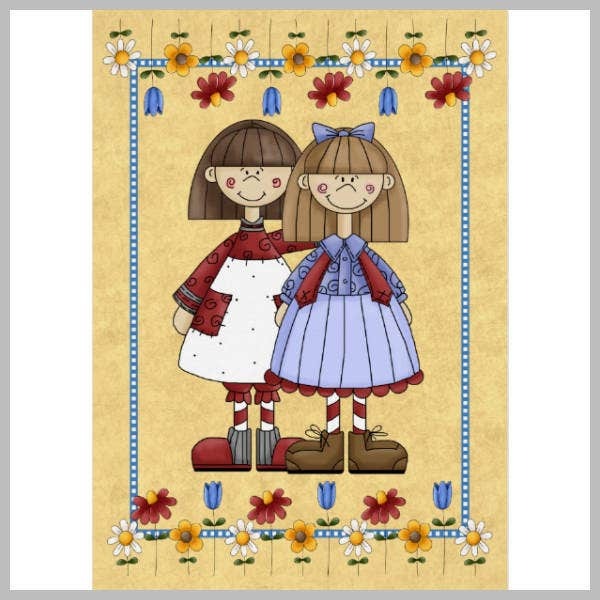 There are tons of ways you can get yourself a birthday card for your bestfriend— having it custom-made, buying it at Hallmark kiosks or simply making your own from scratch. However you wish to do it, the choice is all yours. But, if you want a balance between making your own and buying it, a middle ground of sorts, then the pre-made option is definitely for you. It is simply buying designs and templates that are readily available online. But, what are the reasons that make this option ideal? You may also see birthday card samples. There is no denying the fact that this is one of the main reasons why most people are drawn towards this option. The pre-made option is generally affordable (note: one that is not compromised in design quality) than most other options available. Compared to its more direct counterpart which is having it custom-made by a graphics artist, this option is a lot more aspirational for most considering the similarity of their end-result. But more importantly, the reason why is because the graphics artists who create pre-made designs and templates for people, create them without having to follow any demands or requirements. They have the liberty to do whatever they want, whenever they want, thus no cost of labor to heavily base upon. You may also see birthday cards in PSD. Some people go for the option of having it custom made because they are intimated of the idea of having to do it all by their self, but the price of such option simply does not cut it for most. 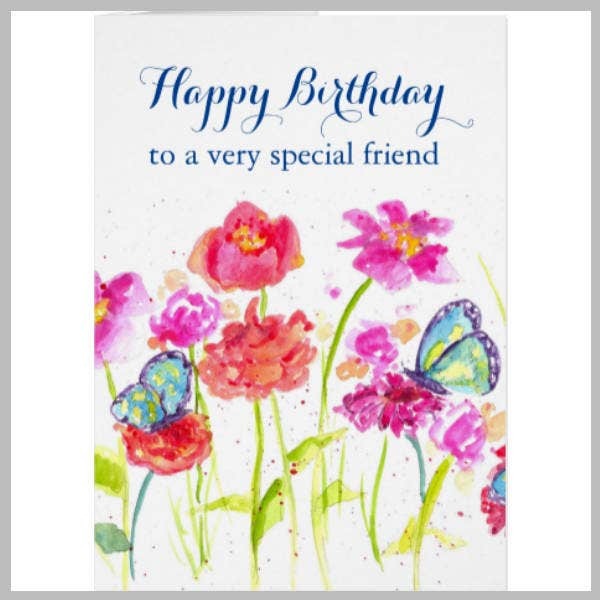 With a pre-made option, you simply do not need to have the most extensive knowledge about different design software, as basic knowledge can already help you create your very own birthday card. Also, taking into account the fact that it is pre-made, which means initial designs are already laid out, you can use it as a guide and inspiration when you start to work on it yourself. Pre-made designs and templates are fully editable and customizable to your preference, hence the reason it is partially finished. You are given the liberty to do whatever you want with it, that most satisfy you. You can edit the text, the fonts, the colors or even the sizes and few other elements in the design to your preference. At times, it comes with smart object layers or vector files that enable you to move around elements of the design to create a more personalized and unique birthday card. With the pre-made option, there is an array of choices you can choose from, to which you can choose ones that most resonate with you and best suit your preference. There are simple and minimal card designs with a more serious pre-written birthday phrase; there are also more fun and modern designs that come with witty and funny birthday phrases. There is simply one for every different preference that helps cater to different people. If you find this article helpful in any way, do not forget to bookmark this page for future references. And, kindly share this with other individuals seeking the perfect birthday card designs and templates to use as a gift for their best friend.